Driving on a dry track is tough enough. But when conditions change, you need to be on your game. Let’s analyze one of the best sports car driver’s technique at a rain-soaked circuit. The Nordschleife, aka The Green Hell, is probably the world’s most demanding race track. Formula 1 no longer races there due to the danger and it boasts a myriad of corners that will ruin your day if you’re just one atom off the proper racing line. Among all the race tracks in the world, this is really the one you do not want to get it wrong at and that’s when it’s dry. So how did Leh Keen manage to pass up almost everyone in the field during a race that was canceled due to poor conditions? Let’s look at what he does differently and how you can apply it to your driving. If you want to see Leh Keen on the track, check out the video right here. Without having the entire track memorized, Mr. Keen wouldn’t be able to go anywhere near this quick on the track that throws an official 154 corners at the driver in just 12.93 miles. Even at the professional level, this is a massively difficult track to master. Simulator time and testing are absolute necessities to not only memorize the track, but know where the track will catch you out. Curbs, paint, and grass all become traps to spin your car into the wall when the rain begins to fall. By knowing every inch of the circuit Leh has a map in his head that subconsciously goes off every time a bump or curb is about the come up. At night and in the rain these pitfalls can become very difficult to see even if you know where they are, so a full understanding of the terrain ahead becomes critical to survive the race. Do anything you can to get time on a track before you visit. Simulators and video games all help with the process as do track maps and YouTube videos. For more information on this subject matter, refer to my previous articles on track day preparation. 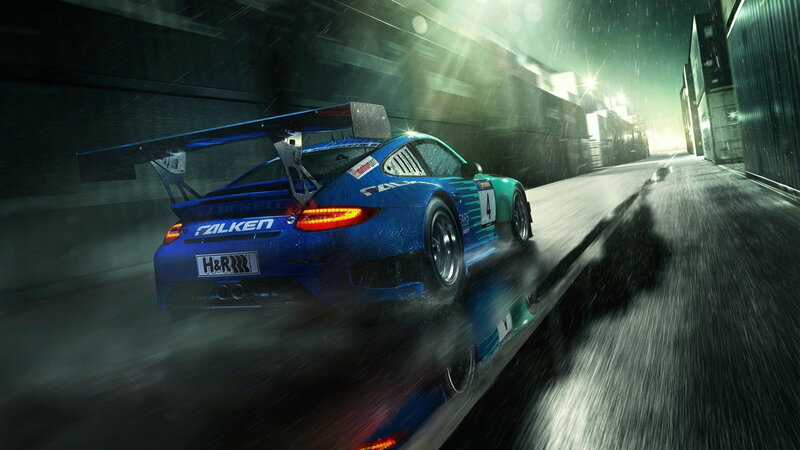 >>Join the conversation about How Professional Drivers Attack the Rain right here in 6SpeedOnline.com. Weather like this requires a driver to completely adjust their inputs to the steering and pedals. You’ll notice that braking starts much earlier and is done by tiptoeing on the pedal to avoid locking up the wheels. Similarly, on corner exit, you will hear a very gentle application of throttle until he knows he can open it up. Despite how fast he is driving the need for patience is still paramount when it comes to getting on power and especially under braking. Locking up a wheel can throw you off course instantaneously ending your drive. 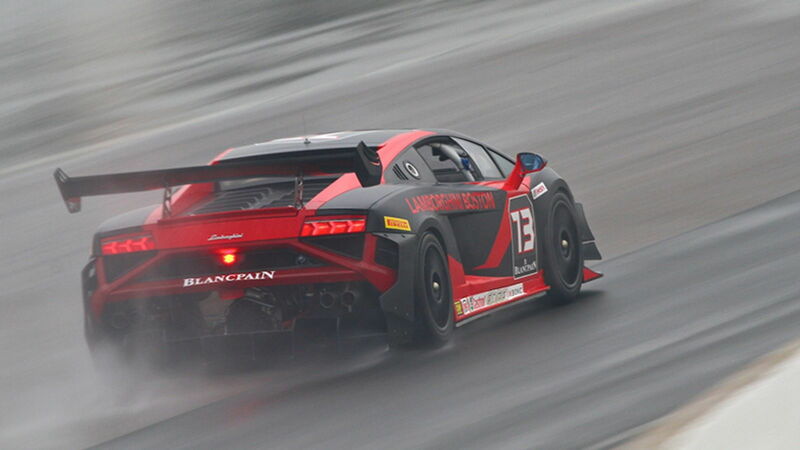 Softening up all of your inputs is something professional racing drivers immediately do when the rain comes out and Keen is a great demonstrator of this. 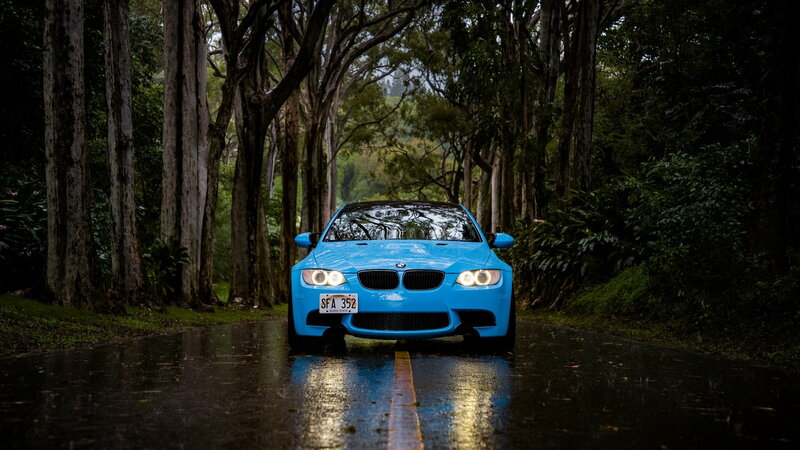 When you brake in the rain and turn in, be very aware you will need to be constantly correcting the car. Steering work, although plentiful in these circumstances must also be smooth and relaxed. Failure to give delicate input can result in a barrage of problems that you don’t want to deal with. Slow Down to Go Fast? Every single time you pass a slower car, you risk having an accident. Awareness of another’s absent-mindedness can be the difference between champagne on the podium or a long, long ride home. However, if you hesitate too long to make a pass you’re going to lose time in the race and may even risk another competitor passing you. There’s a fine balance between patience and aggression and you have to know when it’s the time for each. 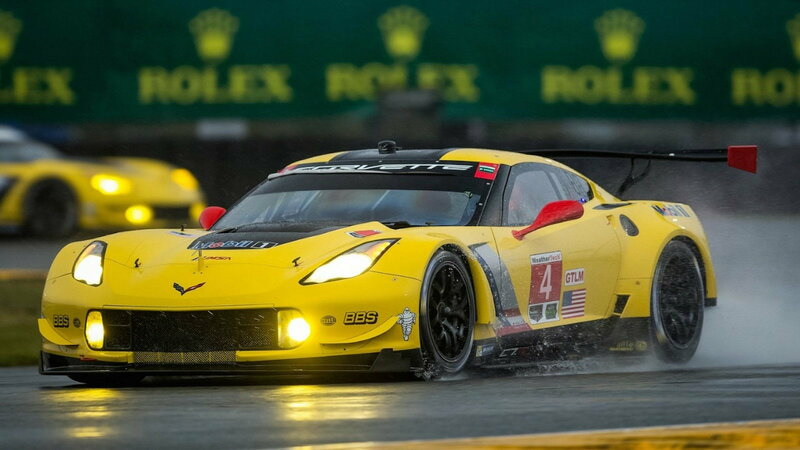 In many races in the rain, people are unaware that you are even coming up on them, especially if there is a big difference in class speeds or big rooster tails coming off the cars. Add to that each driver’s personal “reputation” on the track and you can begin to understand how it gets dicey in a hurry. At 3:50, Leh has a great moment where he comes up on two cars and displays patience, which turns into aggression. Remember, to finish first, first you have to finish. Pay attention to how he thinks about going around the yellow BMW before realizing he’s boxed in by another car just ahead. He quickly gets around the first car and then holds back a bit before ultimately deciding “it’s time to go.” At this moment the patience becomes aggression and he decisively moves around the yellow car that looks slightly out of control. Great display of race craft! As a driving coach, one of the big things you teach people who have never been in a fast car is to keep their eyes up. Looking ahead is one of the fundamental aspects of race car driving and the reason is simple: the further ahead you look within reason, the slower everything appears to come at you. Scanning ahead with your eyes will also help you spot people long before you come up on them which gives you more time to think about the pass you need to make or decide how to maneuver around an accident. We also see him look down periodically to check on the stack gauge cluster—another important piece to any racing, be it amateur or professional. You have two eyes. Use them and scan constantly to give yourself time to prepare for the unexpected. Even in the night when you’re traveling at 100+mph you still need to be looking ahead for any cues of where to turn in and where to brake. The worst thing you can do is to stare just a few feet in front of your car. Don’t do it. The final thing here is a bit of an intangible, but one that you can improve on with seat time. Leh Keen is one of the best sports car drivers around as is evident from this video. 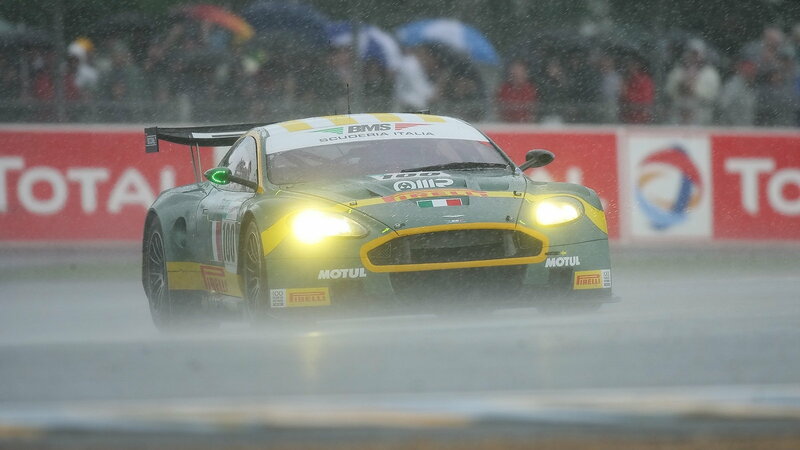 While you might not be a professional driver who hits Le Mans with no fear, you shouldn’t hesitate to race in the rain. 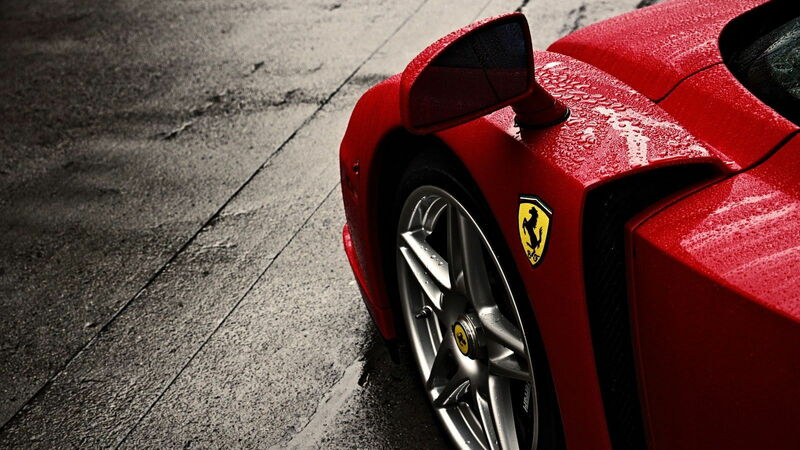 All drivers, in the beginning, are intimidated by the rain. Many can even recall their first experience in the wet like it happened just yesterday. With enough seat time, even an average driver can become competent in these so don’t shy away from practicing when the flood gates open. We’re not all born with natural ability and lightning quick reflexes, but that doesn’t mean we can’t hone our skills and get better. Improving as a driver means challenging yourself. New setups, techniques, and other factors will need to be accounted for. In the beginning, it can seem strange and uncomfortable, but with time it becomes just like anything else: routine. Get out there and have fun.